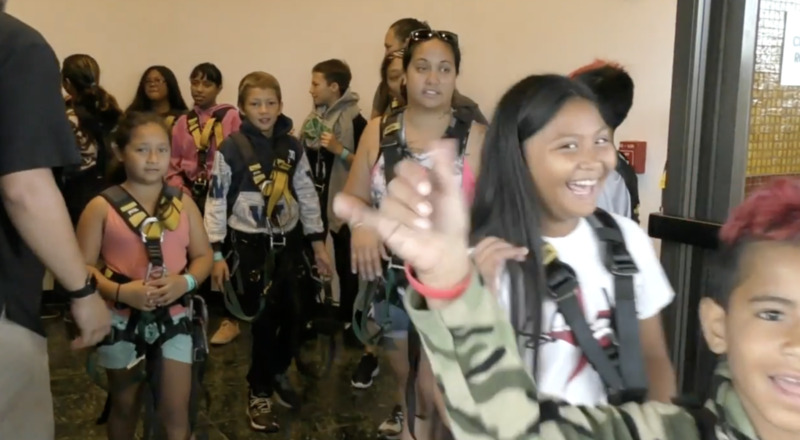 For the 7th year, KapohoKine Adventures gave away free ziplining to kama‘āina over Memorial Day weekend. 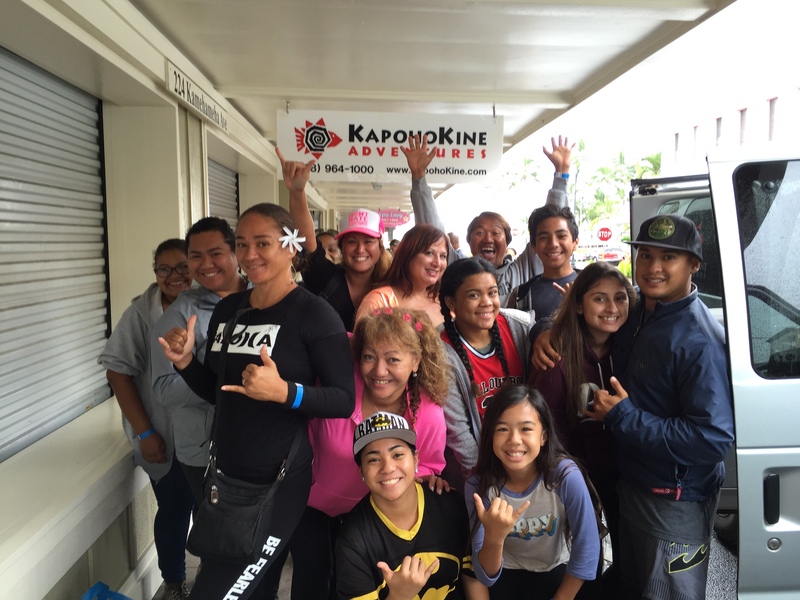 More than 200 locals enjoyed ziplining over Saturday and Sunday, far exceeding the planned 50 per day. No one in line was turned away. In response to asking kama‘āina to bring one non-perishable food item per person, KapohoKine Adventures was able to donate four large bins of food to the Hawai‘i Food Basket. Starbucks donated coffee for zipliners to enjoy while waiting in line. 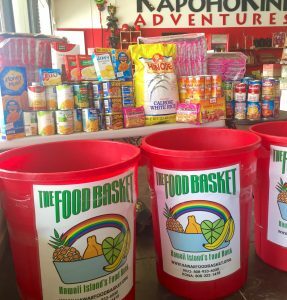 KapohoKine Adventures photo of Hawai‘i Food Basket collection bins. 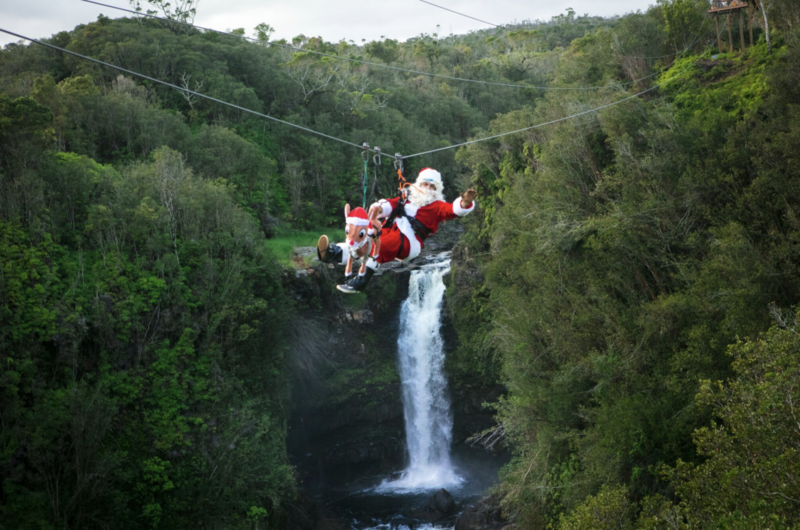 KapohoKine Adventures, in collaboration with its partner Zipline Through Paradise, offers an eight-line zip course above Hilo, including the longest riding tandem line on the sland. 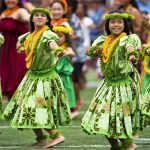 For more information, go online or call (808) 964-1000. 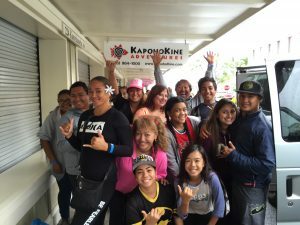 South Kohala Wind Farm: How Will It Work?